Levels are set in real world locations, scattered throughout North America, Europe, Africa, Asia and Australia. The actual design, however, is fictitious. The single player campaign comprises a series of championships in different vehicle classes, where the player unlocks new vehicles and locations, based on their score. Vehicles range from utility vehicles to light buggies and are either fictional or inspired by actual production vehicles. Though the names do not correspond with any actual vehicle, the fact is evident both visually in-game and in the names of the game's files. 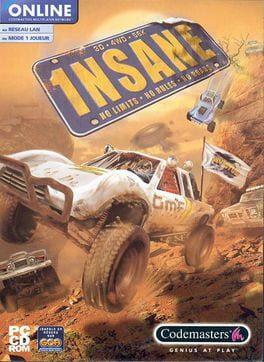 1nsane is available from 9.99 to 9.99 from 1 shops.